The heritage-listed Gymea Bay Baths are on Gymea Bay, part of the Port Hacking estuary in the southern suburb of Gymea Bay. 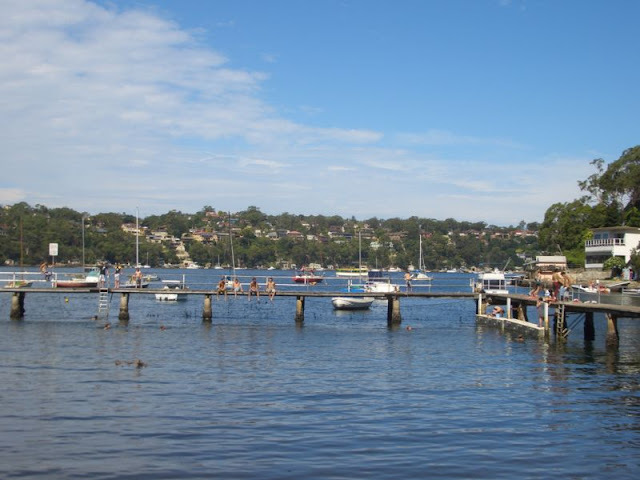 The Gymea Bay Swimming Club meet here every Saturday morning for swimming races from October to March. Sydneysiders love their sea baths! Looks like a wonderful place to be part of a swim club!! Enjoyed another day in one of my favorite places. I hope you do visit, bellybytes. Loved the view. Beautiful click. Looks like a good place to swim. A nice place to chill.